Also known as St. Gregory of Nazianzus. St. Gregory of Nazianzus: As a fish cannot swim without water . . . This entry was posted in Sayings from Saints, Elders, and Fathers, St. Gregory the Theologian on May 2, 2014 by . 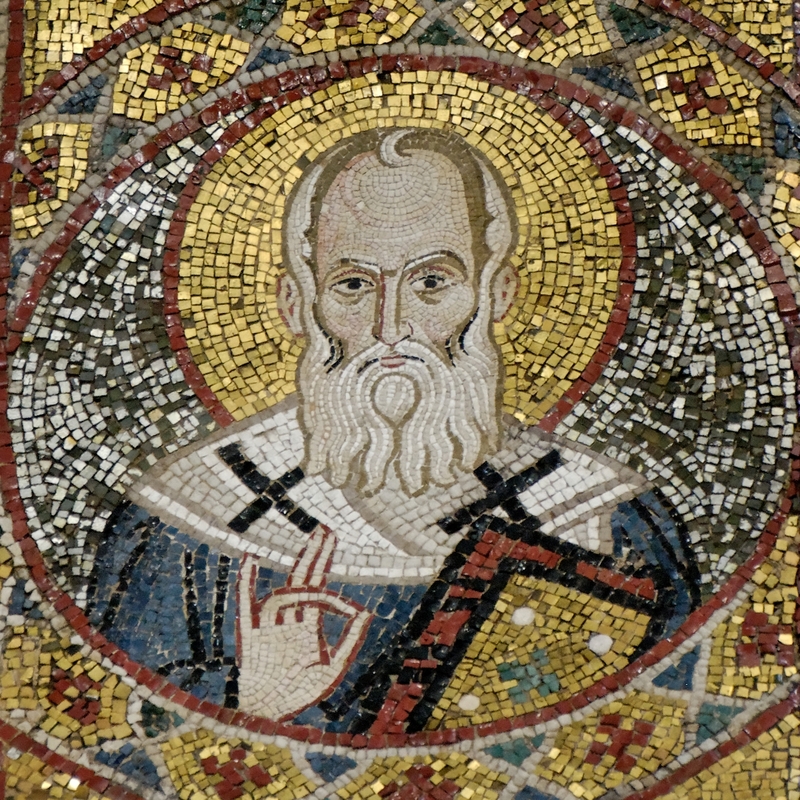 St. Gregory of Nazianzus: Human beings have accumulated in their coffers gold and silver . . . This entry was posted in Sayings from Saints, Elders, and Fathers, St. Gregory the Theologian and tagged Alms, Mercy of God, Poor, Poverty, Wealth and Riches on December 19, 2013 by . St. Gregory the Theologian: We however, who extend the accuracy of the Spirit to the merest stroke and tittle . . . This entry was posted in Sayings from Saints, Elders, and Fathers, St. Gregory the Theologian and tagged Holy Scriptures, Literal Interpretation of Scripture, Morals, Reading the Scriptures on August 6, 2013 by . St. Gregory the Theologian: We needed an Incarnate God, a God put to death . . . This entry was posted in Sayings from Saints, Elders, and Fathers, St. Gregory the Theologian and tagged Crucifixion, Death, Incarnation, Resurrection on July 24, 2013 by . St. Gregory the Theologian: It is better to choose a commendable war . . . This entry was posted in St. Gregory the Theologian and tagged Defending Orthodoxy, False Ecumenism, Heresy, Heretic, Holy Tradition, Orthodox Faith, Peace, War on July 22, 2013 by . St. Gregory the Theologian: Yesterday I was crucified with Him . . . This entry was posted in Sayings from Saints, Elders, and Fathers, St. Gregory the Theologian and tagged Creation, Crucify, Pascha, Resurrection, Theosis on July 19, 2013 by . St. Gregory the Theologian: Take, in the next place, the subjection . . .
“Take, in the next place, the subjection by which you subject the Son to the Father. What, you say, is He not now subject, or must He, if He is God, be subject to God? You are fashioning your argument as if it concerned some robber, or some hostile deity. But look at it in this manner: that as for my sake He was called a curse, who destroyed my curse; and sin, who taketh away the sin of the world; and became a new Adam to take the place of the old, just so He makes my disobedience His own as Head of the whole body. This entry was posted in Sayings from Saints, Elders, and Fathers, St. Gregory the Theologian and tagged Cross, Crucifixion, Forsaken, God the Son, Godhead, Incarnation, Sin, Suffering on July 17, 2013 by .